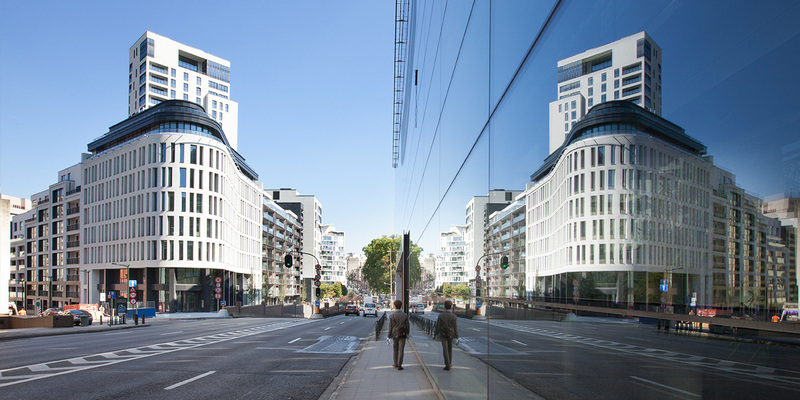 The Belview development is located within the Brussels European District - between the European Parliament and the European Commission, along Rue Belliard, one of the main arteries in the European District. The main park in the district, parc Léopold, lies opposite. The project provides the area with an integrated mixed-use ensemble that replaced a vacant lot, abandoned for decades. 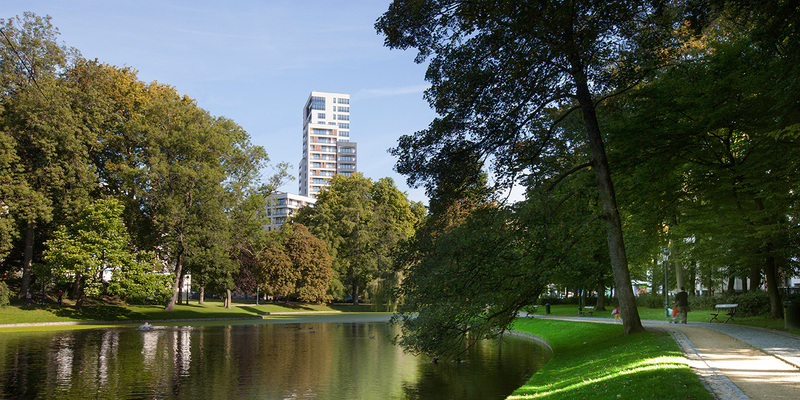 Belview offers 29.000 m² of residential area, including 9.560 m² of social housing. For companies that need to be in a strategic position close to the nerve-centre of Europe, the development provides 5.300 m² of office space. As a mixed-use ensemble, Belview also offers more than 1.700 m² of retail space and public facilities. 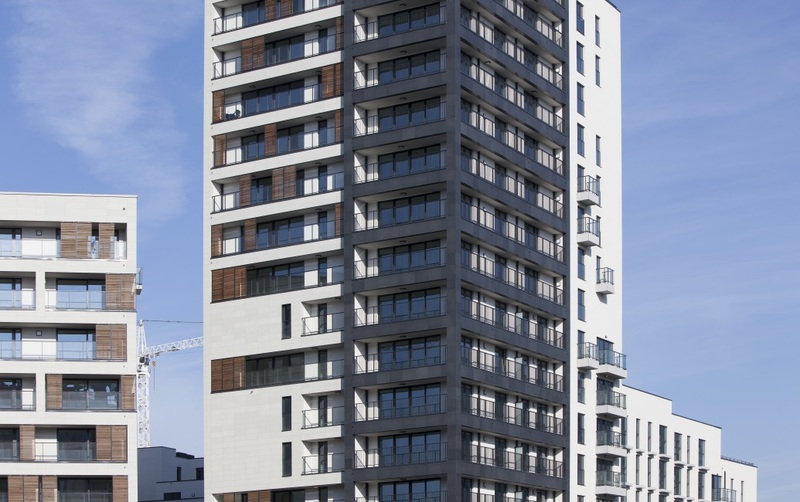 The 25-storey, 84 metre high Belview tower has become the tallest project ever built in the Brussels European District. Erected around central landscaped garden, the building is the only project in the area to provide such luxurious amenities.